The pomegranate originated from persia(Iran) and has been cultivated since ancient times throughout the Mediterranean region of Asia, Africa and Europe. It has been widely cultivated throughout India and drier parts of southeast Asia, Malaya, the East Indies and tropical Africa. The most important growing regions are Egypt, China, Afghanistan, Pakistan, Bangladesh, Iran, Iraq, India, Burma and Saudi Arabia. An attractive shrub or small tree, to 20 or 30 ft (6 or 10 m) high, the pomegranate is much-branched, more or less spiny and extremely long-lived. The fruit, which is about the size of an apple, has a thin rind lined with a layer of white membrane which divides the fruit into several cells. Each cell contains numerous seeds encased in a juicy pulp. The outer rind color is pink to deep red when the fruit is mature on the most popular varieties for eating. Chemical constituents:: Pomegranate seed oil has various chemical compounds that include Punicic acids, oleic acid, Linolenic acid, Palmitic acid etc. In which the Punicic acids about is about 80%. Extraction: It is extracted by cold pressing of seeds. It is an effective vermifuge, especially in cases of tapeworm infestation and other parasites present in the intestines. Pomegranate has also been found to contain some antimicrobial compounds. It has also been studied as a potential chemoprotective substance in cases of breast cancer. It prevent the scleratheroma and slowing down the canceration process. A moisturising and nourishing oil containing over 60% punicic acid which gives the oil anti-inflammatory and anti-ageing properties. 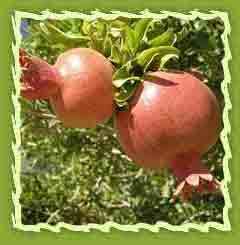 Pomegranate seed oil can be used topically as a skin moisturizer or orally as a dietary supplement. It can also be used as a massage oil and as a personal lubricant. Pomegranate seed carrier oil is suitable for applications in both soap and skin care. It is often viewed as a "face oil" in that it moisturizes and nourishes dry skin. 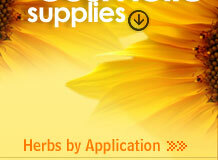 It is a natural anti-inflammatory and anti-microbial product. It is effective in providing relief from minor skin irritations and inflammation. The edible portions of the fruit include the seed and the juicy translucent flesh enclosing the seed (arils). The tart flavor of the pulp and juice of the ripe pomegranate can add interest and variety to foods. Add 4 cups pomegranate juice and 2 cups sugar. Combine juice with sugar and stir. Heat just to simmering and simmer three to five minutes. Cool. Store the syrup in the refrigerator for one to two weeks or in the freezer. Use as topping for ice cream or chilled fruits or in beverages. Add 2 cups pomegranate juice, 1½ cups pineapple juice, ½ cup orange juice and 1 teaspoon lemon juice. Mix together, strain and chill. Serve in cocktail glasses. Garnish with thin orange slices and served. Makes 6 to 8 servings. Add 4 cups pomegranate seeds with 2 diced apples, 2 diced bananas and ½ cup chopped walnuts. Mix fruit, add dressing and stir. For dressing it could be made with whipped cream or low fat vanilla yogurt Pomegranate seeds add flavor and color to any fruit salad. The pomegranate is one of the seven fruits named in the Bible. It is believed to contain 613 seeds, which symbolize the 613 commandments / good deeds and ones merits mentioned in the old Testament. The Islamic tradition holds the pomegranate to be the fruit of paradise and believe that every pomegranate contains one seed, which comes directly from heaven. The pomegranate is said to have been one of the prophet Mohammed's favorite fruit and is mentioned in the Qur'an several times. The pomegranate is long used in folk remedies. All of the parts of the fruit and the trees bark are used to alleviate many aliments. In ancient times the uses of the pomegranate were many. The juice of the pomegranate fruit was used as ink. The tree bark, fruit rind and flowers are used as a darkening and dyeing agents for leather, yarn and rugs. Pomegranate juice will turn blue when subjected to alkaline conditions. It is widely used for making bonsai arrangement in Japan and China because of its flowers and for the unusual twisted bark that older specimens can attain. Pomegranate juice is used extensively for dyeing of clothes. Balaustines are the rose like flowers of the pomegranate, which are very bitter to the taste. In medicine, its dried form has been used as an astringent.